in South Australia’s Barossa Valley. 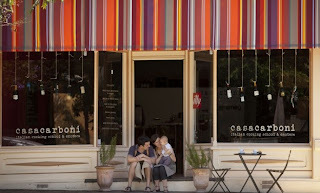 Casa Carboni was established by Fiona and Matteo Carboni in 2012 after moving to Australia from Parma, northern Italy late 2011. The Carbonis were destined for Melbourne however a dear friend managed to lure them to the Barossa for a visit insisting that they would love the local produce and lifestyle of this fertile land. 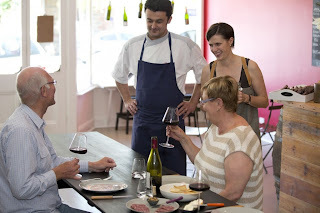 “Casa Carboni is an extension of our house (‘casa’ pronounced kaza means house/home in Italian) where we welcome friends, family and visitors to enjoy a true Italian experience made of food, wine and being together or ‘stare insieme’. We want to create an environment where we exchange information, experiences and culture and feed each others passions”. 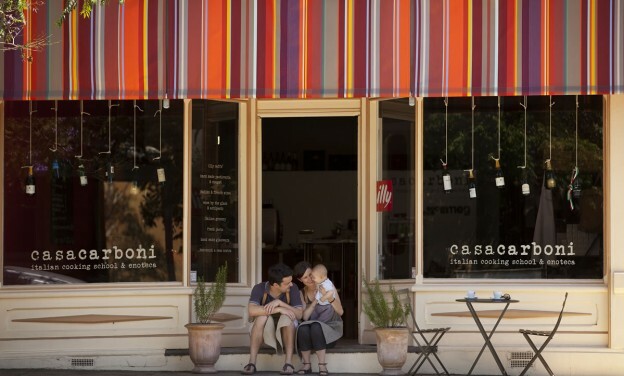 “Our dream has always been to start a business around food and wine, and when we discovered Angaston, with it’s weekly Barossa Farmers Market, beautiful farm gate produce and an incredible group of like minded people passionate about sustainable farming and ‘buy local’, we instantly thought we could create something here and build a future for our babies, Sofia and Filippo’. “After all the wonderful places in Europe we have visited we never imagined we would find what we were looking for in Angaston in South Australia”. The aim of the cooking school is to offer an Italian experience at 360 degrees. Recipes inspired by Matteo’s homeland and his dear Nonna Pia, brought to life by the extraordinary farm gate produce available here in the Barossa.